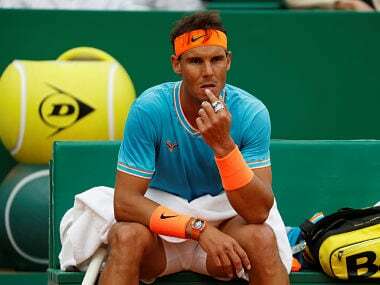 Dubai: Japan's top seed Kei Nishikori was bundled out in the second round of the Dubai Championships on Wednesday, losing 7-5, 5-7, 6-2 to unfancied Hubert Hurkacz. The Polish number one ranked 77th in the world handed the favourite his exit papers as Nishikori played the Gulf event for the first time. 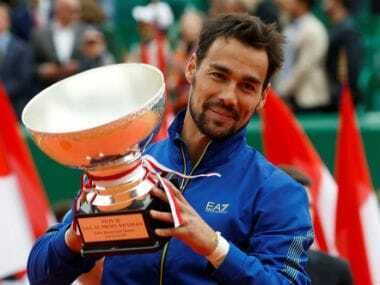 He came to the emirate with an early season title from Brisbane, where he claimed his first trophy since 2016. Hurkacz moved into his first ATP quarter-final after scoring his first career victory over a Top 10 opponent, needing just over two hours completing the upset. The outsider caught Nishikori with a late break in the opening set but the favourite looked like making up ground in the second when he moved from 4-0, 5-2 up. But Nishikori failed on four occasions to serve it out before squeaking through with a break for 6-5 followed by a serve hold to make it a set each after 92 minutes. Hurkacz finished the job as he claimed the final set to advance, winning with six breaks of serve from seven chances. "It's a huge win for me because it's the first top 10 win," Hurkacz said. "It gives me huge confidence. I'm going to try to keep going forward." The Japanese top seed was at a loss to explain exactly what went wrong in the first-time meeting with the lowly ranked Pole. 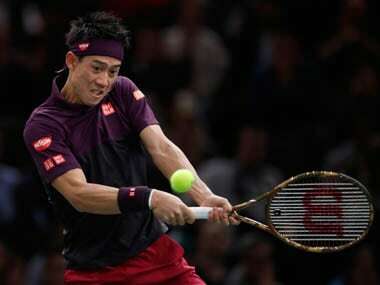 "I didn't play perfect today, but I think he was playing good serves, better than I thought," Nishikori said. "With this wind and this surface, it's not easy. I didn't serve well when I wanted to. "He played well in the important games, I didn't make many first serves when I wanted to... that cost me some important points." 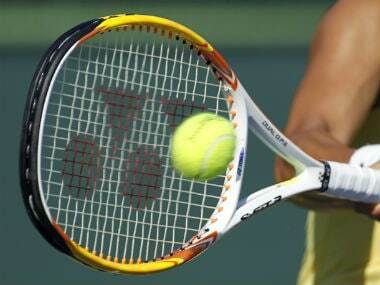 In other on court action France's Gael Monfils beat Marcos Baghdatis 6-3, 6-2 in 65 minutes. Following up on his upset of third seed Marin Cilic the day before, he dominated former Australian Open finalist Baghdatis from Cyprus. "It was windy today, not that comfortable," Monfils said. "I was struggling a little bit to hit heavy balls. "It was tougher for me to be aggressive. I focussed on the key points with my serve. It wasn't that easy for me today." 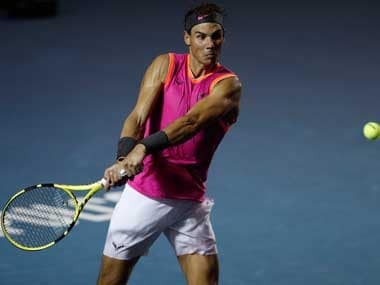 He will play on Thursday for a place in the semi-final against Ricardas Berankis, a winner over Denis Kudla 6-4, 6-1.